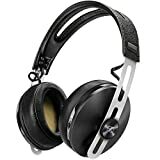 Choosing best headphones can be a tedious job, especially once there are a lot of brands and types available in market. If basic ideas about headphones are not known, there are chances that you might spend your money on a wrong thing. Let us talk about six tips for choosing best headphones. 1. Ascertain your requirements — a pair of ear buds or headphones? Ear buds have a prime advantage of occupying less space, so they should be your first choice if you have limited space available for storing. In addition to occupying less space they are light weight an easy to carry. They can be stored in a small case that can be carried in your purse or bag and utilized whenever needed. Performance of ear buds can’t be compared with headphones because of obvious reasons. Yet keeping your requirements insight ear buds can be your prime choice. What can be more fashionable than putting a pair of headphones around your neck and doing a walk in a park? Headphones have their own stature and performance ascendency over ear buds. Headphones might not fit into your budget if you are looking for supreme quality. Headphones also occupy more space than ear buds. Keeping all these factors in mind, it’s your call to select either ear buds or headphones. It is correctly said that the more you put in sugar, sweeter is the cuisine. Same is the case with headphones, as you keep on adding more money in your budget, quality increases. Ear buds start from $ 10 but their performance can’t be termed exemplary. Headphones normally start from $ 30 and range up to thousands of dollars. On average a $ 50 portable headphone would serve the purpose. For your PC you can choose something around $ 250. Once done, you must be now in a comfort zone as far as headphones are concerned. The biggest problem with most of the headphones is their sound performance versus outside noise. Most of the times listener has to increase the volume of the headphone to overcome outside noises, this can damage ears. A good headphone affords a balance between sound and noise. It always feels soothing and one enjoys music when his headphones have this feature in it. Take few minutes before purchasing to ascertain this feature of the headphone. A good headphone must have a wider range of supported frequency band. Normally frequencies ranging between 10 Hz to 25,000 Hz are considered best for sound output. If your selected headphone offers frequencies within this range that too at affordable price, you got a good deal. Noise cancellation is a sophisticated feature and every brand can’t live up to the standards meant for this feature. One needs to weigh between the perks of this feature and price, because a good brand will charge considerable amount against this feature. If you are low at budget, you can cancel out this feature. It’s your money; make sure you get a product worth your payment. Take your time and run a test on headphone, testing each feature one by one. Don’t get carried away by one good feature; make sure you get a balance of all required features. Also make sure you are paying for what you are getting. Pay only once you have tested headphone in all aspects and are satisfied with its performance. Keep these tips in mind whenever you go to purchase a headphone. If you follow these tips; rest assured that you will get one worth your money. Choosing best headphones is a tedious job, especially once there are a lot of brands and types available in market. If basic tips about headphones are not known, there are chances that you might spend your money on a wrong thing. Let us talk about six tips for choosing best headphones. 1. Ascertain your requirement, a pair of ear buds or headphones? Needless to say, the sound quality of the headphones is always factor NUMBER ONE when you are about to buy headphones. Also if you are going to listen to it to in public places amidst a lot of outside noises, then buying a headphone with the sound clarity feature becomes a priority. 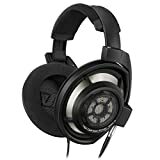 Some headphones are designed to offer better bass while some a richer on the treble part, so it is for you to decide what type of sound quality you are looking for.